Search engine giant Google announced information about their eagerly awaited Google Chrome OS and web store last night. The first Google Chrome OS laptop ‘Cr-48’ was announced last night and is hoping to bridge a conventional laptop with the cloud via Google’s web store. 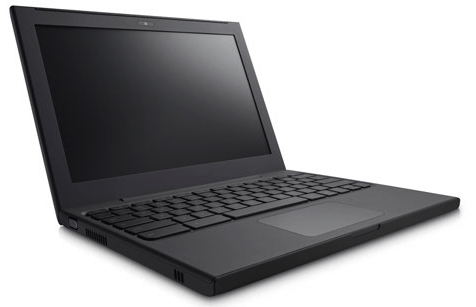 The laptop is very simplistic with a black exterior and a full keyboard (minus the function buttons and capital lock key which may cause some confusion for some users) which has been specifically designed for Chrome OS completed with a dedicated search button. Now the Cr-48 is only available for a selected few who have managed to get onto Google’s pilot program – you can also sign up to test this product. The design is down to Google’s minimalistic approach due to the laptop being built specifically for beta testing. 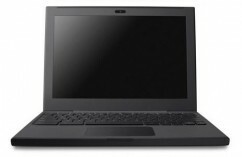 With a 12.1” LCD display, a full size QWERTY keyboard which has a few limitations, built in 3G-compatability and Wi-Fi so you can stay connected to the internet all the time, in-built webcam and flash storage for quick booting and accessing all of the Chrome OS functions, a weight of 3.8pounds, and eight hours of battery life with a week of standby power the little Google Chome OS laptop may be able to stand up to netbook giants Asus. What laptops like this are proving is that the bridge between traditional and the cloud computing can work and the future can be vast for laptops such as this.